HANDS OFF THE CHECKLIST: Will Senning, director of elections at the Secretary of State’s office, told the House Government Operations Committee that he supports a bill that prohibits sharing of voter checklist information with the federal government. 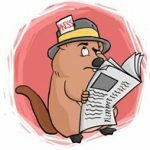 MONTPELIER, Vt. — The House Government Operations Committee on Tuesday approved a bill that imposes severe penalties for sharing Vermont’s voter checklist information with the federal government or a foreign government for purposes of cross-verification with other states or for voter registration. The bill, H.624 (draft 4.1), also prohibits sharing voter list information for purpose of public disclosure with the federal government or a foreign government. Office of Legislative Council attorney BetsyAnn Wrask broke down the details before the vote. “A public agency cannot knowingly disclose checklist info or a municipality’s portion of the statewide checklist or the municipality’s portion to any foreign government or to a federal agency or commission or person acting on behalf of a foreign government or federal entity for those same three purposes: registration, publicly disclosing or comparing,” she said. In addition, any person wishing to obtain a copy of the statewide voter checklist must swear and affirm under penalties of perjury that he or she will not knowingly give out voter information to the federal or a foreign government for those three reasons. An earlier version of the bill would have had individuals getting local voter information from a town clerk fill out an affirmation declaring under penalties of perjury that they won’t violate this policy. This was removed from the version of the bill approved Tuesday, but it still applies to an individual seeking the statewide list. Rep. Jim Harrison, R-Chittenden, noted some ironies about the proposal. “[It’s looking for] a problem that I’m not sure really exists as we’ve had one request in history — and I don’t believe we fulfilled that request — for the voter checklist for the commission that was looking at voter issues,” he said, referencing President Donald Trump’s disbanded bipartisan Advisory Commission on Election Integrity. Harrison was joined by Rep. Dennis Devereux, R-Mount Holly, and Rep. Patti Lewis, R-Berlin, as the three no-votes in the committee. Lewis inquired about the questionable logistics of how a town clerk is going to legally ask someone requesting a public record who they are and what they are going to use it for. “I just don’t see how this is logically going to work. What are we trying to protect? It’s a public record, and how do you exclude one particular entity? Everybody has a right to that checklist, right?” she asked. Senning said it’s appropriate for the Legislature to put limits on access to public records, noting that restrictions on access for commercial purposes have been on the books for some time. Senning said he supports H.624 prohibiting the federal government from requesting the checklist, although he recommended the change that individuals seeking voter information at the town level not be required to fill out an affirmation under penalty of perjury concerning the sharing of information. At one point in the discussion, lawmakers debated an amendment that would have placed additional restrictions on individuals seeking to obtain the checklist for cross-verification purposes. Devereux, seeking clarification of the amendment’s intent, asked Wrask if any person who wanted to inquire about someone’s right to vote could do so. “If somebody registers in my town and I think that they are registered in the wrong state, I can’t ask for a copy of that checklist to go on my own and verify if that person is still registered in another state?” he asked. 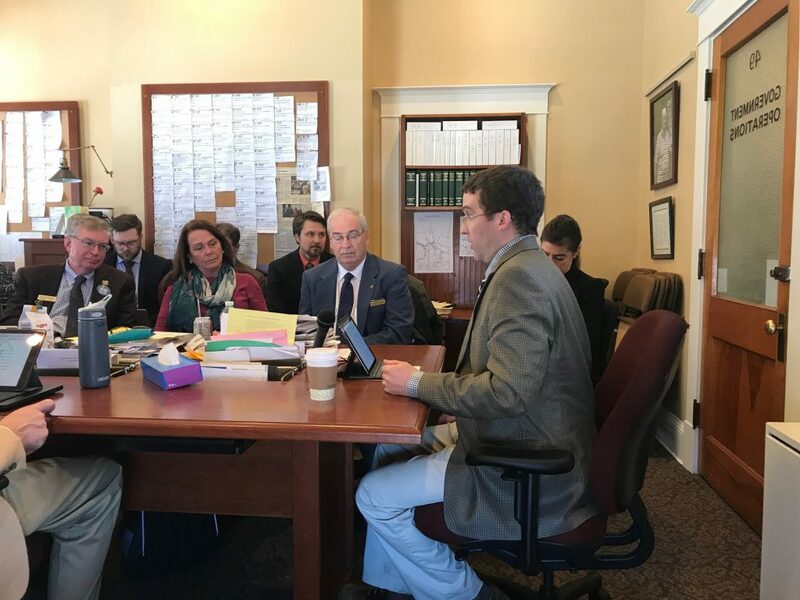 The bill advances amid concerns by some residents that Vermont’s checklist is riddled with inaccurate and out-of-date voter information. 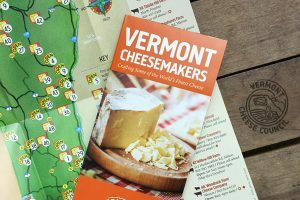 In one incident in 2016, Vermont resident Bob DePino tried to send 2,000 fliers for his wife’s campaign for state representative using statewide checklist information, but had 500 fliers returned as not deliverable. “Shocked by the result, the DePinos soon came to the realization that information on roughly one-quarter of voters was either wrong or out of date,” Emma Lamberton reported for Vermont Watchdog. CORRECTION: The original photo caption inaccurately stated that Elections Director Will Senning said he supports a bill that prohibits “sharing of voter checklist information with any person or entity looking to scrutinize the list for accuracy.” To clarify, Senning supports a bill that prohibits sharing of voter checklist information with the federal government. The version of H.624 approved by the committee, and later approved by the full House on Feb. 15, prohibits individuals from sharing checklist information with feds for purposes of comparing info with federal or other state databases. The measure does not prevent individuals from attempting to make their own comparisons for verifying checklist accuracy. The title also was updated with the words “by feds” to clarify the scope of the proposed measure. Finally, the exchange between Rep. Dennis Devereux and Legislative Council BetsyAnn Wrask pertained to a proposed amendment to H.624 that failed to pass. 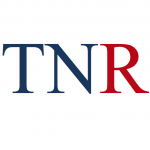 ← Keelan: Does racism exist in Vermont? 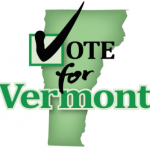 Ok, I attend college here in Vermont and am able to vote here in local, statewide and fed. Elections. I also vote back home by absent t ballot for local, state and Fed elections Who checks that out?? “…….. looking for a problem that I’m not sure really exists as we’ve had one request in history ……”. Could that ‘problem’ be the fact that this state is run by liberals? I can’t think of a good reason to keep the names on a voter check list secret. It sounds like the state thinks it a good thing to do. It would seem this waste of time & money piece of legislation is a grand gesture by the majority party to “Resist” and make a statement of “Not My President” as the only such requests has been from the Trump administration commission. Sound like they have something to hide. And they do. When I ran for Sec State a few years back the Sec State at the time was in receipt of a letter form the US Ag’s office stating we had more registered voters then the census allowed for. There were many registered to vote in two towns. And we were trying to deny Military people to vote. We had people living and working in NY coming back to vote. We had people form Canada registered to vote. In one case we mailed the voter registration to Montreal based on a false Barre address. This also reminds while I was running for Sec State, a person I met went to each town to look at the property taxes paid by every legislature to find out what fair share of taxes were being paid. A fair number were claiming income assistance, hence not paying their full fair share. Hmm, voting on education bills they wouldn’t feel the full impact of. Strange. Subsequently the legislature made actual property taxes paid a secret. Again, something to hide. What ever happened to transparency? Go figure. For this kind of BS and waste of time we pay them the big bucks? Methinks that perhaps we should simply close down and lock up the space under the golden dome. We pay them to run our state and they are wasting time and money with this? How is this bill helping our state economy to grow, and bring people, businesses to our state? We all know this is a political game which accomplishes nothing! When we the wake up and start taking care of the problems this state has. I don’t give a — what they think of our president. Run our state effectively and efficient period that is your job. I always thought that only citizens could vote. Hey, there is nothing wrong with the data on the Voters List ……… Trust me !! he said, referencing ” President Trump’s ” Advisory Commission on Election Integrity. A public agency cannot knowingly disclose checklist info or a municipality’s portion of the statewide checklist or the municipality’s portion to any ” foreign government ” or to a ” federal agency ” now this sounds big , didn’t Russia already have the data ???? But any person wishing to obtain a copy of the statewide voter checklist must swear and affirm under penalties of perjury ( WOW ) …………….Like that not happening . So our Voter Check list must be pristine , yeah sure ……………. trust me I heard that before !! If I should ever ‘accidentally’ release the information, it would certainly be unintentional, and we all know, thanks to Mr. Comey, without ‘intent’ there can be no prosecution. What a bunch of communists. They should be sent to Gitmo. Traitors they are, really. Of course they know the reality is, if they can’t keep the voter rolls filled with dead or moved people, they will lose. They have no right to do this, and it is disgusting. Yes your ballot is secret, but the voter rolls need scrutiny, as election fraud is becoming SOP these days. Sick!